Counter-Strike: Global Offensive has come a long way since the beta began back in December, thanks to great feedback from beta participants. An example of this feedback (and upcoming changes they have generated in CS:GO) can be found below. 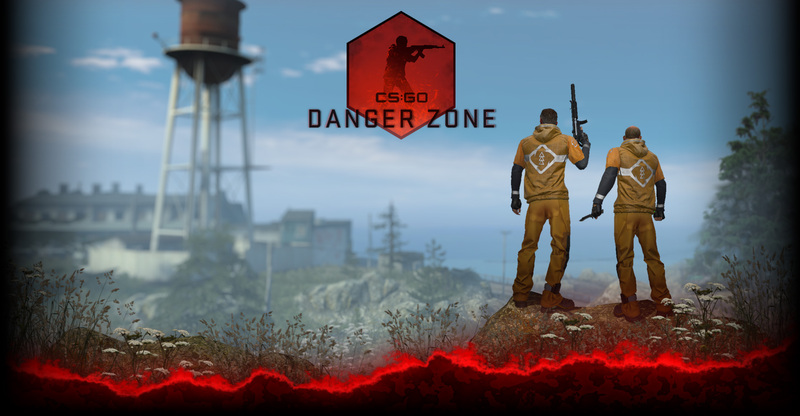 We have learned a great deal from the beta, and as we move forward the best way we can update Counter-Strike is to start iterating on a live product that can be experienced by the widest range of players. We will be updating the CS:GO beta before August 14th. That update will include the changes listed below. Thank you to all of the players who have helped us guide this update through feedback on the forums! – Increased recoil of the AK-47. – Slightly lowered recoil and increased accuracy of the Famas. – Increased armor penetration and increased damage of the MP7. – Increased damage and increased movement speed of the SSG08. – Decreased accuracy of the Tec-9. – Increased damage of the UMP45. – Fixed the “quick switch exploit” that allowed players to bypass slow weapon cycle times by switching weapons. – Increased the duration of the AWP deploy animation to 1.25 seconds. – Reduced the strength of the flashbang. – Berettas no longer shift horizontally when their accuracy changes. – The SSG08 texture has been updated. – Added rumble effect to knife. – Fixed grenades becoming stuck on players or inside them when thrown from within a player volume. – Changed grenades to bounce more realistically off of players. – Players should no longer be able to boost off of grenades. – Reduced the opacity core radius for player standing inside a smoke grenade. – Update to bot aiming system. Players should see a substantial decrease in the ability of bots to get perfect shots on moving targets, especially at lower difficulty levels. Bots now can react poorly (or well) to enemies that are dodging/strafing, and also must now account for their own movement while shooting. – Moved the setting of maxplayer from maps to modes in gamemodes.txt. – Increased Casual money rewards, per Beta feedback. – The difficulty of the upper tier bots has been increased. – Updating movement values to community vetted numbers. Thanks Wombo! – Updated the AWP viewmodel firing animation. This was inspired by community feedback that suggested more towards-the-viewer recoil and less vertical recoil. – Added some recoil to the SSG08 rifle viewmodel firing animation. – Updated the 3rd person CT firing pose for SSG08. This fixes major shoulder and elbow popping, minor forearm popping on transition between firing and idle while crouched. – Updated the following viewmodel firing animations. – Added full screen windowed mode to video options. – Removed Quick Match from the Play Menu. o The vote thumbs and counts now also display on the vote result, so you get a summary of why it passed or failed. o Now when a vote fails because it was cast recently, we show that warning message before we would show the failure for an individual voter recently casting a failed vote. o Fixed the result numbers sometimes not showing the very last vote that caused it to succeed or fail. o The player list is now scrollable when there are more than 10 selectable players. o Added a new convar – “sv_arms_race_vote_to_restart_disallowed_after” that should be set to the weapon level after which no restart match vote will be accepted. This convar is currently set in GameModes.txt for each of the modes of play, and is set so that a vote to restart will work until someone reaches the knife level. – Updated the text for the Loading screen hints. – Updated weapon grind achievement descriptions to match their new values. – Now when you drop a weapon voluntarily, a message pops up letting you know it was dropped. – A message stating you cannot drop an item will now display when you try to drop non-droppable items. – Armor and helmet icons have been updated. – Updated the hit area for menu buttons that prevents the buttons from flickering between up and over states when cursor is near the left edge of the button. o The Warmup panel never comes up if it doesn’t have a value to fill out the number. o The Warmup panel now properly clears when the UI clears it, so it knows to come back up again when necessary. – Offline with Bots match set up screen now uses different icons for “Random” map groups based on the chosen game mode (Arms Race, Demolition or Classic). – Updated the Options menu to use wider text fields. – Updated the T icon. o You can now double click the box to select the whole number string. o You can now put your cursor in the middle of a block of numbers to start editing it in the middle. o When you are sliding the bar, the number will update as expected. o Improved the highlight in the Achievements screen. o Added ability to page through the categories in the Achievements screen using Page Up and Page Down keys. o Updated the Win Banner to be more in line with rest of UI. o Added highlight for player selecting. o Added a Team Switch icon. o Updated the Vote panel UI to use checkbox/x iconography instead of the thumbs up/down. o The radar maps were updated for the SE versions of Aztec, Dust 2 and Nuke. o The Terrorist Buy Zone indicator on the radar image for Dust2 and Dust2 SE has been updated. o The opening upfront movie art has been updated. o Added a Join Game Button to the Play With Friends Lobby. o Increased the font size on Vote result panel. o Brightened the player outline in the Mini-Scoreboard. o The Match Set Up screen now hides the arrows in the map navigation panel when the current game mode includes maps or map groups with only one map. o Fixed issues with the Recently Unlocked Awards. o The Recently Unlocked Awards panel now uses a time window (currently 5 days) to determine which Achievements to display. o “Screen Resize” is now labeled as “HUD Resize” in the Advanced Video Settings screen. o Fullscreen menu screens now have animating background and foreground elements. o The ‘Team Full’ messages on the Choose Team screen now display longer. o Spectators will no longer see “Your Team Lost” in the Scoreboard. o Radio commands are now updated for the new audio commands. o Overhead alert icon is brighter, a bit more saturated and easier to see. o Removed “Play Distance” option from the menu and replaced it with HUD scaling bar and viewmodel display position default. o Added a key bind to ‘Start a Vote’. o Moved Viewmodel settings to the Game Settings menu. o Removed delay on death notices. o Updated colors and bg for readability. o Increased number of death notices to seven total and made them stick around a tad longer. o Increased the number of characters before truncating in the death message. o Player clan name is now shown in the death message and id’s panels. o Updated Achievement chat colors to current scheme. o Tweaked death message colors again to bring them closer in line with others. – A collision model update has been made to props on all maps. o Reduced foliage prop popping. o Refined area for the bomb zone area graphic indicators on the radar map. o Added collision at the bombsite to prevent bomb falling into a crack in the geometry. o Fixed some terrain seams near bomb site B.
o The planking on scaffolding has been moved so it is no longer a navigation hazard. A physics clip has been added to the upper planks to prevent bomb from being trapped there. o The Nav mesh has been updated. o Clipped off microledge on T side of double doors. o Adjusted collision to allow players to jump cleanly thru windows. o Clipped the space behind sandbags on center platform. o Moved spawn points back against wall to help prevent spawn camping. o Allowed for random spawning between all 20 possible spawn locations. o Removed a floating bottle prop. o Fixed a tight collision spot above the van in the tunnel. o Updated the pillar model. o Refined Radar Map Bomb sites A and B image locators. o Fixed a collision problem at the scaffolding by bombsite A.
o Players can now crouch jump through the drive thru window of the bank building. o Bullet decals now work on the interior surfaces of the safe. o Fixed a bug where a tree was growing out of a trash pile texture near Logs. o Fixed a bug where a Bot with the bomb is unable to get out of the fountain at bombsite B.
o Tuned the Nav mesh. Fixed several jump-over-fence issues and the big issue with bots not navigating down from the hostage balcony. o Changed Italy wine pallet collision type to cardboard. o Fixed the harsh lighting glitch in Garage near Back Way. o Fixed the Bots getting stuck when traveling over counter tops. o Moved the ashtray back into a corner which should fix an issue with the hostages getting stuck when exiting the building. o Updated the Forklift prop. o Fixed some missing ladder Nav areas to help bots climb up on ends of flatcars. o Added new ladders to sides of bombsite train cars, adjusted biohazard straps to not be in the way of the middle of the cars. The bomb should now be plantable and defusable in the middle of each car. o Cleaned up Nav mesh. Deleted orphan areas, fixed bad jumps, fixed stale Nav mesh over missing geometry, and made tops of trains “avoid” areas. o Fixed a bomb placement bug on shorttrain. o Added ladders to the middle of each side of the flatcars, added ladder markup, and moved struts out of the way. o Fixed weird geometry that was floating in mid-air on the flatcar model. – New Voice Overs added for Terrorist and Counter-Terrorist units. – Fixed the looping ambience for Lake. – Players grabbing a hostage, planting a bomb, defusing a bomb, and players close to a bomb that is about to explode now all say something over the radio informing their team of what’s happening. – Player now brags over the radio when he’s dominating someone. – Players now cheers over the radio when the win scoreboard is up when the match is won by his team. – Fixed a bug in the exponential panning mode. – Added snd_headphone_pan_mode and snd_speaker_pan_mode convars that specify using 0 = exponential, 1 = equal power, 2 = GoldSrc (trigonometric) for both headphone and speaker monitoring situations. This differentiation is important for setting system defaults and we may even consider differentiating surround circumstances as the speaker positioning does. – Split front/rear speaker position options for stereo versus surround. In CS:GO, stereo speaker configurations are going to want the broadest range of positional data, whereas surround systems should default to 45 degree corners, which gives both resolution and sensitivity. Adding these was largely so we can supply the best default settings possible. – Default panning method is now based (again) on an exponential curve but with an adjusted 1.22 exponent. This not only makes for less inter-speaker blurring but was determined to be the flattest xfade response in decibel level testing. Equal power remains as an option. – New convar options have reasonable doc strings. – Added snd_speaker/headphone_pan_radial_weight, which applies the “GldSrc” stil cosine weighting but weighted by this float convar. this allows for 1.6 style side weighting but with the exponential center weight allowed by exponential mode. – Removed all dsp from first person weapon sounds. – Added burn damage sound entry start operator to block subsequent damage sound for 1.0 seconds. – Re-authored the footsteps, they are overall louder, both first person and third person, third person being louder than first. More distinct heel impacts with a raise in the high and mid frequencies (less mush), equipment part of the mix is a little lower than previous so as to let the ear concentrate on the footfall, but can still be heard. – Fixed a bug with the weapon shell eject effect. The highest-quality level of the effect (which usually accounted for the first three shots fired in a sequence) was using some complicated stuff for the shell bounce that was inadvertently sending the shell flying off in wrong directions at high velocities. The bug was observed on the AUG (rifle shell), but was also present on several other types of shell ejects. – A bunch of hit impact effects have had some of their previous POW restored. – Blood impacts are less randomly angled and more obvious overall now. – r_drawtracers_firstperson is now visible and archived and fixed. – Smoke grenade effect now has reduced draw order issues. – Smoke grenade effect no longer has a great disparity between the screen fog effect and the world fog sprites. – Reduced the length of time the particle smoke/dust lasts after an HE grenade explodes. – Spectators and observers now have a significant reduction in flashbang effect done to them. – Fixed player interrupting another player defusing the bomb by walking in front of them. – Fixed player names running too long in the call vote kick player panel. – Fixed a bug in Arms Race where switching teams put a bot in the Spectator team. – The G3SG1 model now has the safety switch set to ‘F’. – The Galil AR model no longer has the light burn on the side plate. – Fixed issue that let the player crouch and slide around with C4. o The material blockbullets_cs now completely blocks bullets regardless of penetration. o Maximum penetration distance has been reduced from 10.6 feet to 4 feet. – Fixed a bug in Demolition mode where bonus grenade rewards were being called out as achieved but not always given. – Fix for bug where a spectated player with the AUG/SSG zooms in, the spectator sees the muzzle of the weapon. – Fix for z-fighting on Phoenix arms at the wrist on the left side that occurs when carrying the knife and looking directly upwards. – Fixed the radio “!” showing up above your own head when you issued a radio command – still shows over other players/bots heads. o Adjusted color of the overhead “!” radio icon to match the HUD scheme. – Restricting ‘The Cleaner’ and ‘Ballistic’ achievements to classic mode. Updated description strings to reflect that. – Restricting ‘Friendly Firearms’ achievement to classic modes. – Restricting ‘Base Scamper’ to Arms Race mode. – Fixed incorrect Arms Race achievement descriptions. – Fixed a message displaying that you can’t plant bomb if you had the C4 selected and used anything (door, etc). – Fixed the C4 button press beeps continuing to play if you started arming the bomb and got killed. – Fixed the bad max value for zoom sensitivity in the options screen. – Removed the custom bind for the Zeus in the options screen. Moved knife/Zeus bind down with the rest of the specific item binds. – Warmup mode will no longer happen in an offline match now. – The game won’t ignore spectators when deciding to end the Warmup round. – Fixed the Demolition gun progression panel not showing up if you were controlling a bot at the end of the round. Also fixed the progress displaying incorrectly. – Clicking on the slider bars in the options screens will now change the slider value as expected. – Fixed a button/popup conflict occurring upon selecting “Restore Defaults” option. – Fixed the audio reset option not persisting. – Fixed a bug where exiting the video settings screen applies your changes even if you click “no”. – Fixed a bug where mouse dragging on an option menu slide control resulted in the control being highlighted but not responding to left and right keyboard commands. – Fixed a bug where it was impossible to apply settings changes in options menus using controller. – Fix for first person view weapon not showing up when spectating in Arms Race. – Fix for Safehouse and Shorttrain Map Veteran Medals not working. – Fixed revenge count achievement not progressing in Demolition mode. – Fixed a case where the Arms Race message, “Alert – You are the new leader” was displaying in Demolition mode. – Fix for the Friendly Firearms Achievement being unattainable. It could not be unlocked if the weapon was not purchased that round. Now the game tracks the prior team ownership when a weapon is dropped. This enables the game to know if a weapon was ever owned by a given team. This value is now used to determine if and when a kill is made with a weapon that once belonged to the killed player’s team. – Fix for friendly fire messages not including the (BOT) prefix. – Arms Race now shows the correct next weapon when you start a new game. – Fixed case where if your vote failed previously, you wouldn’t get the vote button strings on the next vote cast by another player. – Fixed potential bug where some players wouldn’t get a voting dialog panel when others cast a vote. – Fixed the Taser range to target indicator where the reticule changing from Green to Red didn’t match the actual range of the Taser. – Fixed losing mouse focus when in the Achievements menu while a map change occurs. – Fixed the Radar line of sight being unaffected by doors. – Fixed the player being unable to see the radar icon for the bomb they dropped if they took over a bot. – When scrambling teams during Demolition Mode gameplay, we now reset the game data when the round restarts. – Fixed third person weapons not animating. – A fix was made to ensure the [E] Takeover Bot navigation hint is not displayed on the spectator menu inappropriately. It was shown when you changed teams mid round, even though you couldn’t actually take over the bot. – Fixed a performance issue caused by changelevel being invoked twice after a change level vote. – Fixed a crash that would allow a server operator to crash clients with bad vote commands. – Fix for the vote UI not sorting to the background when the user opens the buy menu. – Fix for the Call Vote popup disabling the Left and Right arrow keys. – Fix for the Voting UI putting mouse focus back to the game while team select screen is open. – Fix for not being able to vote while the achievements screen is up. – Fix for a scenario where stepping into molotov fire sometimes turns the screen black. Reduced opacity of screen-space smoke effect at the molotov’s core from 1.0 to 0.75.
o Also removed some extraneous tings from the molotov explosion and reduced the lifetime on the molotov inferno’s embers, which were artificially enlarging the effect’s bounding box. – Fix for bound key picking the wrong grenade. – Fix for some MVP issues. The game still disallows controlled bots being the MVP, but players are allowed to be chosen MVP. This fix displays the player name correctly as well as allowing players to be selected even if they’ve taken over a bot. o This also fixes Top Kills being broken when you take over a bot. – Hostages break glass that they touch now. This fixes hostages in cs_office getting stuck trying to run through the big panes of glass sometimes. – Tightened tolerance for CSBots to defuse the bomb. Fixes edge cases where bots think they are close enough to defuse, but are not so they stand there like zombies. – Fixed the ragdoll force being too high. – Fixed the Buy Menu inventory not being populated or correct when you first open the buy menu. – Disallowing five achievements in Arms Race because they did not make sense or were too easy to unlock for that game mode. – Fixed a bug where your inventory display wouldn’t get updated properly in some cases when you took over a bot. – Fixed a bug where a bot was issuing the wrong radio commands after the new radio code implementation. – The game will no longer show a “Game Commencing” message when the game starts. – Fixed a bug where last known nav area could stay permanently NULL due to a bad traceline on displacement terrain. We now trace from the player’s WorldSpaceCenter() downwards instead of their GetAbsOrigin() (their feet). – Fixed bug with CNavMesh::GetNavArea() that would return NULL if a nav area was below the ground at all. It now allows for StepHeight (18 unit) tolerance below ground. This was causing CSBots to sometimes go “zombie” and stop moving, particularly at spawn at round restart. – The game no longer shows “Rounds Left” in the scoreboard when playing Arms Race. – Fixed the game mode label having a ” – ” in the Scoreboard. – Fix for bug in de_train where shooting while strafing + crouching on the green dumpster prop causes unintended behavior. – Fix for errors and warnings console spew in de_inferno. – Fixed case where the earned Achievements in the Win Panel wouldn’t clear their images so if you earned multiple Achievements in one round and only one in the next, the ones you earned in the last round would still show on the panel. – Fixed a memory overrun when a second controller was connected. – Fixed ‘One Shot One Kill’ awarding based on second bullet kills. – Changed ‘Medalist’ to award after 100 medals instead of requiring 100% completion. – Fix for a bug where pulling the network cable on your PC while ingame eventually triggers Steam signout, taking you back to the main menu. – Fixed issue where we were displaying the raw map name before transitioning to it when the match ended. This was also fixed in the vote panel. – Fixed HE Grenade/ molotov not recording kill stats. – Fixed linux DS crash – for pc, we show the raw map name in the chat when we announce the next map just like we used to because we can’t assume we know that map name has a localized token. – Fixed logic bug that would not correctly cancel-out splashes when the player was running. – Fix for duplicate game instructor messages displaying when rescuing the hostages. – Fix for target ID over a player displaying default “target area” text. – Fixed the thin lines showing on the target IDs before the first time they were filled in. – Changed “War Bonds” Achievement to $50,000 earned. – Fix for bug where user is spectating through the POV of a recently disconnected/quit player, they will be able to see out of world once their character despawns. – Fix for a bug where opening the Scoreboard while in the Choose Team screen shows a camera view of the map floor. – Update to Awards screen to fix confusing flashing awards. – Fixed vote success panels showing bad result data if a vote was cast for the other team only. – Fixed slow orbiting camera movement when using a controller in 3rd person spectator camera view. – Fixed a performance taxing bug where some icons were getting destroyed and recreated each frame if you were a terrorist on a hostage map. – Fix for auto-disconnect message in the HUD going away permanently when the game is paused. – Fix for player being unable to hear knife deployment sounds when deploying the knife while standing on certain properties. – Fix for deploy sound for knife not playing when secondary weapon is dropped. – Fixed a bug where a player would connect late to a dedicated server when the warmup period was already in progress but wouldn’t see the warmup panel at the top of the screen. – Fix for voting failing with 6/10 simple majority. – Fix for the Current World Ranking leaderboard mouse over region for individual rows being too large. This caused the incorrect row to be selected while clicking or moving the mouse around the screen. – Fixed bots exclaiming at the start of a round whatever state they were last experiencing when they died or at the end of the previous round. – Fixed a bug where the player was able to switch teams over and over and take control of bots in a game session on a dedicated server. – Fix for a bug where a hostage appeared illuminated on the radar after it was killed. – Fix for incorrect game settings description displayed in loading screen when connecting to a map. – Fix for bug where bot takeover in the middle of a grenade throw results in an extra grenade. – Fixed two edge-case crashes for bot takeover when the bot has no weapons. – Fix for bug where throwing grenades on certain slopes will result in them slowly skittering down the slope rather than coming to rest and exploding. – Fix for a bug that made it possible to throw smoke grenades in such a way that teammates can enter the smoke radius without seeing or hearing the smoke, completely immune to its effect. – Fixed the brightness value slider showing values from highest to lowest. – Fixed SECOND and SECONDS in the “match is restarting” alert being hard-coded and not localized. – Reworded the description of “First Things First” and “Target Secured” Achievements to match what the code expects you to do to achieve it as they were perceived as unawardable. – Fix for scenario in Demolition mode where after killing an opponent the bonus grenade pop up or next gun pop up will block the user’s reticle hindering aiming. – Fixed bomb planted instructor hints showing up for a frame and then going away most of the time. – Removed account balance requirement from the “Killanthropist” Achievement criteria. – Fixed new modulated decal art not having enough contrast to make it work with the modulation shader and made a bunch of decals really hard to see. – Fixed cl_spec_mode not saving the player preference so it always reset you to the default spec option. – First person spectator is now the default for all modes. – Fixed throwing weapons landing too short or too high. – Fixed case where if the viewmodel gun barrel traced through a solid object on its way to the impact point, the tracer would interpenetrate that object and make shooting feel off or fake. – Fixed dlight muzzle flash being in the wrong spot (the attachment points on viewmodel never return the proper world position). – Fixed the Scoreboard delay that prevented fast toggling. – Fixed the Scoreboard getting stuck in a toggle state if you weren’t alive. – Fixed the whole screen going blurry when the bomb exploded if you were not killed by that bomb. – Fixed HUD scaling getting stomped by the play distance convars (which aren’t used anymore). – Fixed the cl_showloadout convar not getting respected if it wasn’t actually toggled in that session. – Flashbangs now make a scorch on the ground to show where it went off. – Dropping the connection to Steam shouldn’t drop you to front end on PC/Mac, whether you’re in an offline or online game now. – Dedicated server now sends mapgroupname so the client has the proper mapgroupname to send back to DS. – Setting your sound configs to default now sets your speaker option to the optimal setting based on what windows is set to. – Fix for when a player is locked into a controller on pc not being able to use the chat. – Fixed right edge of death message sticking off end of the safe area. – Fixed regression that was preventing Achievements from being announced in the chat channel. – Fix for the background around chat not accommodating very long lines of text. – Fix for CT bots in Lake standing on the kitchen counter, attempting and failing to go through a window. – Fix for bots in Train getting stuck on a ladder. – Fix for bots in Nuke jumping on crates for many seconds. – Fix for the game instructor “plant bomb” hint being displayed twice in bombsite B of Train. – Fix for a bug in the Buy Menu where the first time the buy menu is opened, all categories are grey (indicating available) when some items should be red to indicate that they are not affordable at that time.